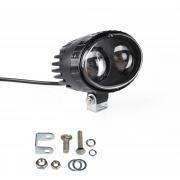 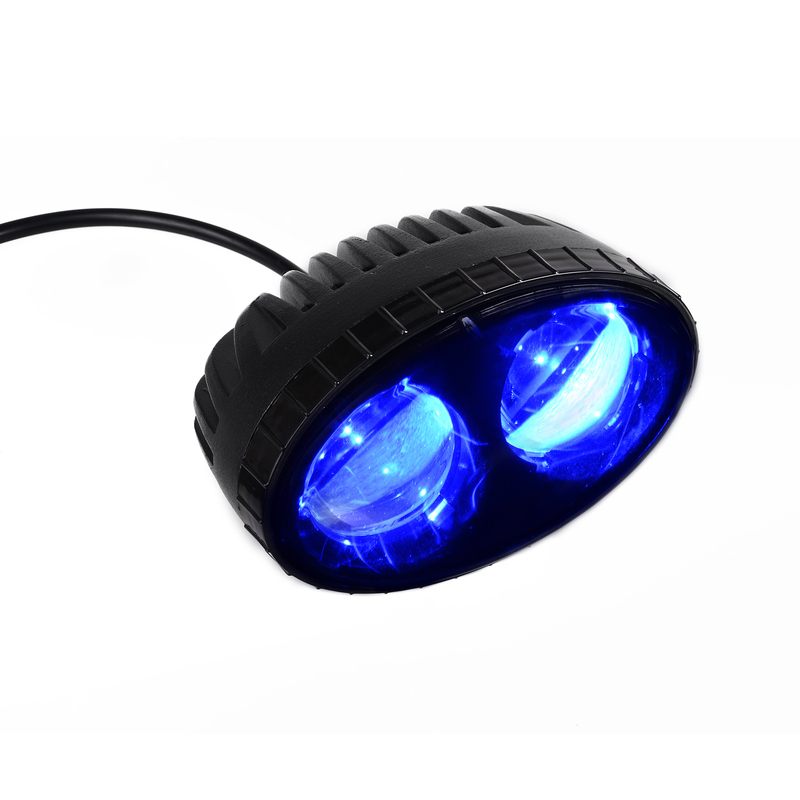 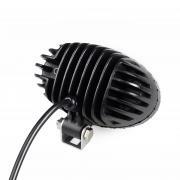 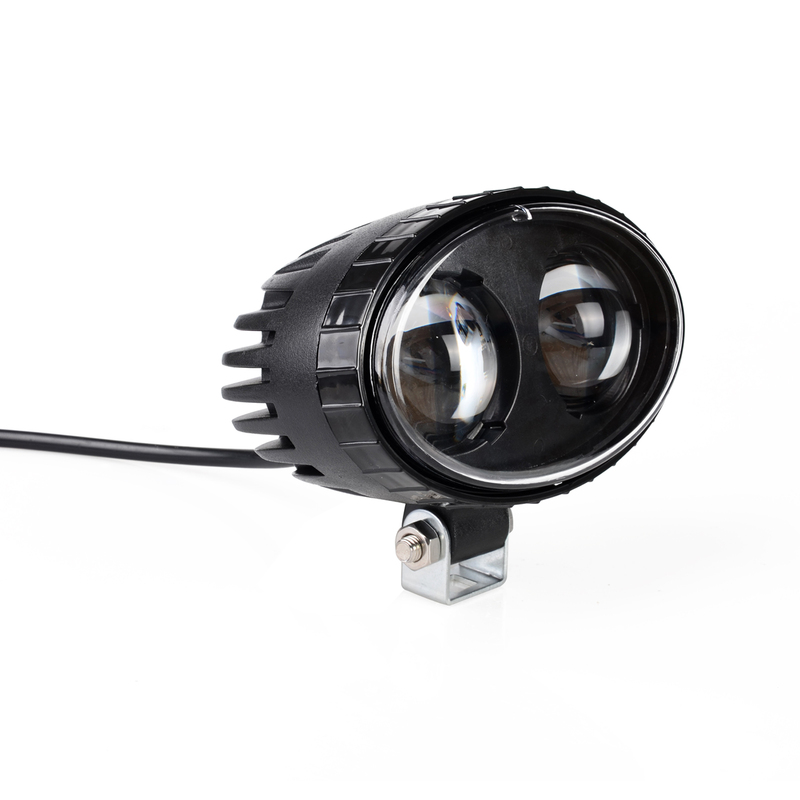 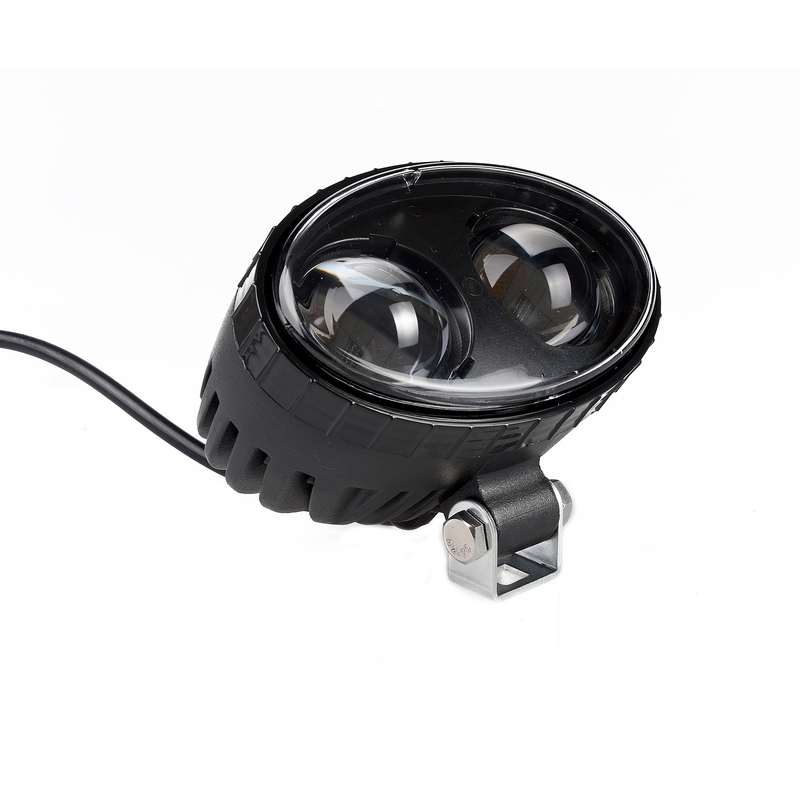 The blue oval safety spot light has two blue LEDs, a polycarbonate lens and a metal housing. 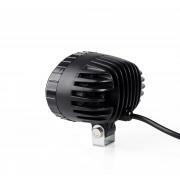 The universal mount is suitable for use on forklifts, lift trucks, and other industrial equipment. The light projects a focused beam of blue light on the ground to warn pedestrians that equipment is moving in the area.